They say you can’t go home again, but I’m going anyway. LOL – I said I wasn’t going to write this week, but guess what I’ve been doing! For the past several weeks, day after day after day we have talked and talked and talked some more about where or whether to settle, have over and over the pros and cons of each option again and again, have made lists, and have debated whether we wanted to buy a house again or not (we even went so far as to get a pre-approval from our bank to see how much house we could afford) or buy a car. We changed our minds several times, and went back and forth, with a new option added to our list at one point, not that we needed another one in the mix. But, eventually we were able to come to a decision. 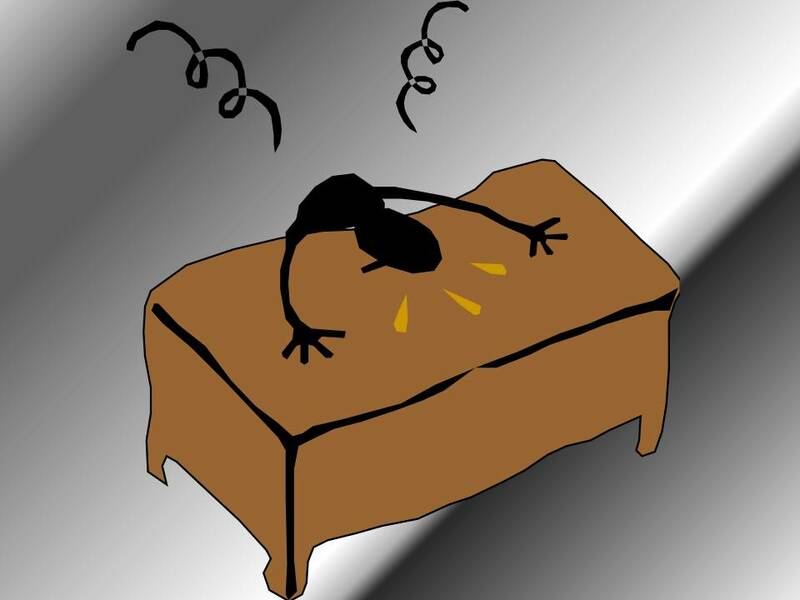 I now believe that our indecision is what brought on or worsened my insomnia – once we made up our minds all of that went away (well, that and a drastic reduction in the amount of caffeine I consume). All I could think about every night was where should we live? 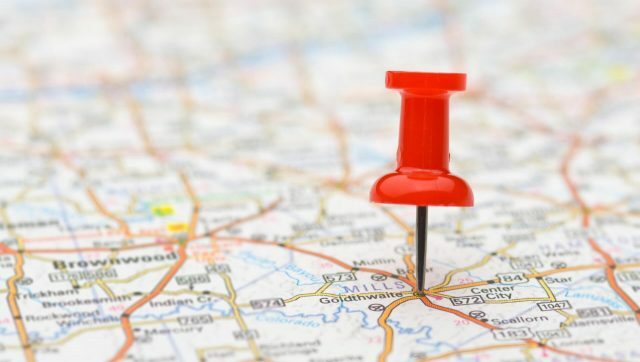 What’s the best location for us? It was driving me crazy and keeping me awake. The order of our final list feels right. Nothing has been chiseled into stone yet, but we can finally start thinking more about and working toward what comes next. San Clemente, CA. I’m still a California girl at heart. And, I’ve always loved San Clemente and the surrounding area (Dana Point and Laguna Beach) – back when we decided to leave Portland, it was the #2 area on our list after Hawai’i. The opportunity to live there now ticks off a lot of the most important boxes for both of us though: warm, sunny weather, low humidity, being close to the ocean, and friends living nearby to name a few. It’s eas(ier) for family to get there, and a place people love to visit. Our biggest hurdle will be finding an affordable place to live – coastal prices in California can be like Hawaii’s, or higher, but we’re into living small and simply these days so that will help us find something affordable. We’ve definitely decided we don’t want to buy again, and we’ve also pretty much decided that we’re not going to buy a car, and that we’d like to try to get by without one for as long as possible. However, there’s a trolley service in the San Clemente area that can get us around somewhat and otherwise we will use a rideshare service like Uber or Lyft, or we’ll walk. If we want or need to take a longer journey we’ll rent a car. Also, Amtrak connects San Clemente to both Los Angeles and San Diego – San Clemente is located halfway between the two cities. The town of Laguna Beach is connected to San Clemente via Dana Point by the trolley service. Another year of travel. This option sort of popped up unbidden, but once we started talking about it we became interested in the idea, and realized we could continue if we wanted. There are still many places we want to visit, and we’ve come to see that a longer stay in each place works best for us rather than moving around ever few days or so. However, while the thought of spending time in new places is motivating, it also feels a bit exhausting right now. To be honest, I was more enthusiastic about the idea than Brett – he would rather settle down and then travel once a year or more, staying in a place for a month or so and being Occasional Nomads versus Full Time Nomads. Northern Arizona. This was our mystery location, another choice that just sort of popped into our consciousness, but once it did it really took hold. We liked the area a lot when we visited in 2017, and there were several locations to consider: Flagstaff, Williams, Prescott, and Sedona. The big drawbacks for us were the extreme dryness and lack of water, and the cold winters, but we otherwise love the natural beauty of the area, and the proximity to the Grand Canyon and other areas in Arizona and the southwest. We’d absolutely need to purchase a car here though, something that eventually made this location less appealing. Strasbourg, France. This option went to the bottom of the list not because we don’t love, love, love Strasbourg, but because as we talked it over and got into the weeds, we could see how complicated it would be, from the language to applying for a visa to finding housing to the kids visiting and so forth. A move there is really more than we want to take on at this stage of our lives. One of the biggest factors contributing to the order of our list as well is that beginning in 2021 we will need to contribute somewhat significantly to the cost of YaYu’s education at Bryn Mawr during her last two years there. While all the girls currently receive generous financial aid because of all three being in school at the same time, that number dwindles to two next year because Meiling graduates this June, and beginning in the fall of 2020 it will be just YaYu attending college. She’ll still qualify for aid, but it won’t cover the full cost, and we want to help her through enough that she won’t need to take out student loans, or at the least, borrow very little (both Meiling and WenYu will graduate with no debt). After crunching the numbers, a simple life in Southern California actually puts the least amount of strain on our income, even with the high rents. Although California has high taxes, we’ve done the calculations with our income and ours shouldn’t be much, especially if we don’t own a car. We also want to set aside money every month to cover the cost of a long-term visit to Japan every 15 months or so (for at least a month) and for other travel as well, and we have to buy some furniture too, so all those are some other financial considerations. Anyway, a decision has been made and we can now move on to planning what comes next and when. It is a big relief to us to finally have a decision, and we’re feeling very good right now about where things are. At every stop since we began traveling we have been asked: Where are you going to settle when you finish? The answer is always the same: We still don’t know. I almost can’t believe we haven’t decided where we want to end up when the Big Adventure is over. I made a list this past fall of possible locations and ideas, but after some more travel we’ve decided against some of those. We had thought Seattle might be a great place to land, but after a month in Portland in December we were reminded of why we left the Pacific Northwest, so that idea fell off the list. After just a 10-day road trip around New Zealand, and never being able to unpack our suitcases, our idea of a long-term driving trip around the U.S. felt a whole lot less interesting as well. We thought for a while that Tucson, Arizona might be a great place to end up – it ticked off a lot of boxes, and we could afford a house with a pool there! – but then we stepped off the train in the middle of the Australian desert and realized we did not want to deal with the climate, pool or no pool. Just as we would be stuck indoors during the winters in Seattle, we would be stuck inside during the summer, or trying to escape. We are happiest when we’re near the water, especially the ocean, but lake or rivers make us happy as well. Abundant sunshine is a must, although we don’t like dealing with extreme temperatures or humidity. We don’t mind cold weather, or snow once in a while. We enjoy city life, but don’t miss it or need it as much as we once thought we did, especially big cities. We’re OK living near a city, but not necessarily in one. We would prefer not to own a car, but can see now that we will probably need to have one no matter where we live, with a couple of exceptions. This will be specially true if we don’t live in a city. We like locations where we can walk, even if we own a car and it’s just for walking’s sake. We need to live where it’s easy and somewhat affordable for our children and their (eventual for some) families to come visit, or for us to visit them. This is the primary reason we decided not to return to Kaua’i, as much as we miss it and would love to go back. Strasbourg, France. We’re still in love with this city and it still has a lot going for it. Pros: The size is manageable and there’s lots to see and do; there is great public transportation (no car necessary); it’s flat and very walkable and also a great place for bike riding; it’s quite affordable; the food is wonderful; it’s in a great location for travel to other places we want to see; and, as for water a river runs through the middle of town. Also, our family have all said they would come visit us there as we’d only be 1.5 hours from Paris. Cons: The visa process (mostly time consuming), and the big one: we don’t speak French! We would have to spend a lot of time and money on French lessons before we go and after we arrived. San Clemente, California. 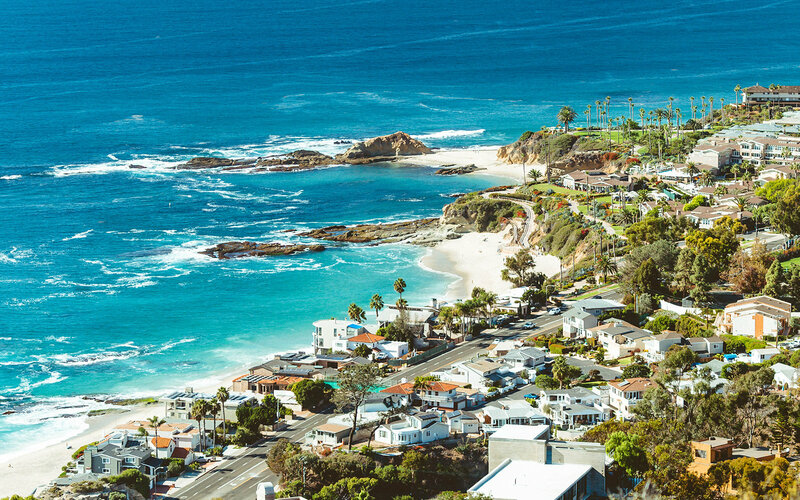 This charming beach town was my home away from home growing up, and is located about halfway between Los Angeles and San Diego in Orange County. Even though I know it’s not the same now, it still holds a special place in my heart (along with Laguna Beach and Dana Point). Pros: The weather and the beach are the primary ones, and it’s a walkable town if you’re located on the west side of US 101 (El Camino Real). We also know people who live in the area, a big plus for us. Cons: Housing costs are very high (think Hawaii high), and there is not a lot available in our price range. We would have to have a car again, and Southern California traffic can be hellish at times. Also, California is not a great place for retirees when it comes to taxes, although we’ve crunched the numbers and our tax burden wouldn’t be much. Living in San Clemente would be all about location, location, location, and because we no longer have children living at home it’s something we can afford to do. It also costs a LOT less to get to and from here than it does from Kaua’i. Mystery Location, USA: We’re still doing research, but this small town is fairly near a couple of bigger cities with a university and medical facilities but without being too close (i.e. not a suburb). We’d have to drive to those cities though for many things though, including some of our groceries and such, so we’d definitely need to own a car if we settle here. The area gets plenty of sunshine overall but without high temperatures in the summer, and humidity is low year-round (it does get some snow in the winter though). The area is affordable, and it’s an OK location tax-wise for retirees, and is located near some beautiful natural areas that we love to visit, so some more positives. There are a few small lakes in the area, but not really a lot of water around which is a bit of a negative for us. We have no need to buy a home, at least not initially. We enjoyed not owning a home when we lived in Hawaii (in spite of our awful landlord), and we’ve gone over the numbers and with new tax laws in place having a mortgage no longer makes much sense for us other than we wouldn’t have to worry about rent increases. We recognize that we are still “restless people” at heart and would prefer not to be tied down with all the many things that home ownership entails. We’ve committed ourselves to a firm decision by the time we leave Japan in mid May so that we can start working toward that move. In the meantime we will continue to research our options, consult with our son (who is no longer quite so opposed to us living in France), and think about what will be best for us and our family in the long term. 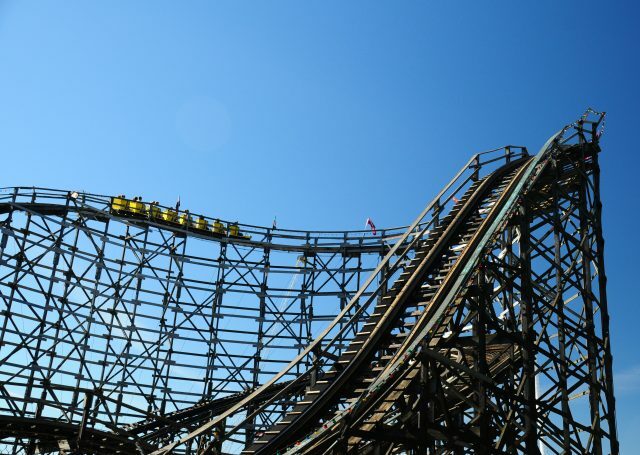 In a recent post on his blog, A Satisfying Retirement, Bob Lowry wrote about his granddaughter comparing growing older to the most exciting part of a roller coaster ride, the ending with its big, exhilarating runs. It’s a great analogy: a roller coaster ride typically begins with a slow climb, and few tame dips and turns. As the ride continues things pick up, and twists and turns, climbs and drops begin coming at a faster pace, but the when and where are a mystery and add to the excitement and increase the thrill level. Finally, the car once more heads for the top to begin its big, exciting finale before finally slowing down and coasting to a stop. Brett and my start together was like that initial slow climb. He was one of my first instructors in the navy, for a two-week course I was required to take for my rating following boot camp. It was pretty much love at first sight for both of us, and as soon as the two-weeks were over we began dating, and before long we were talking about our life together and how we saw that unfolding. There was never a distinct marriage proposal that either of us can remember, but somewhere along the way we both realized we wanted to spend the rest of our lives with the other. We’ll celebrate 42 years together next year while we’re in Tokyo. Just like a ride on a roller coaster Brett and I have already passed through two distinct phases in our married life: our beginning years while he served in the navy followed by a second phase in civilian life and raising our daughters. Both time periods were very different from the other, full of twists, turns and surprises (not all of which were pleasant), but we had different goals and expectations during each one, and in hindsight both phases were positive for the most part. We were always looking to the future. The segue from the first into the second phase was fairly bumpy, but we somehow managed to get over and through those bumps and came out stronger than before. Our life choices, especially adopting three additional children in our mid- to late-forties were not the ones that most people would make, and we’ve paid or are still paying for some of the choices we’ve made, but as Brett and I have always said, we can’t imagine now having done things any other way. We chose the right coaster for us. Brett and I have been raising children for most of our time together. Other than the short time we had before our son was born there was only a six month period with an empty nest after our son headed off to college and before we brought Meiling home. Before I met Brett I had no dreams or desires to have children, let alone four of them. Or, to have them in two separate groups with a nearly twenty-year gap between them. However, that’s how it happened, and of all my life’s accomplishments so far I am most proud of my children, of their efforts and accomplishments and the adults they’ve become. Our goal has always been to give our children roots, but wings as well so that when it’s been time for them to leave the nest they would be able to fly. It’s been exciting and rewarding to watch each of them take off and soar, with their wings spread wide. We’re segueing now into a third phase, a time when Brett and I will also leave our nest and spread our wings. For the last 40 years our lives have been completely entwined with our children, with our schedules determined by their schedules, our plans and finances controlled by their needs. But, beginning in August it will just be the two of us, and we are ready to fly. I am so excited about being able to explore the world with my best friend, the person that knows me best, but I also realize it’s going to feel “different” for a while. It’s going to take time for me to adjust to not having children to accommodate in one way or another. Thankfully the segue into this third phase has been easier so far than it was between the first and the second because I think we’ve done a better job this time of preparing ourselves for the transition. A roller coaster ride has been my metaphor for life for a while now. As my mom approached the end of her life a couple of years ago I kept thinking of roller coasters, and what a ride she had, and I’m beginning to see my life in the same way. Are Brett and I making that last big climb to the top? I don’t know right now, but we are preparing for an exciting finale that will hopefully go on for a good long while. Our ride up until now has been full of thrills, chills and surprises but it’s never been dull. And, like Bob’s granddaughter pointed out, I believe the best and most exciting part is yet to come! The Occasional Nomads is not a retirement blog. Yes, we are retired but that’s not the focus of the blog. I don’t write about retirement or give advice about retirement or pretend to know a lot about retirement issues. There are other excellent blogs out there for that (such as Bob Lowry’s A Satisfying Retirement). Anything that relates to retirement on this blog is about our experience, and ours only. 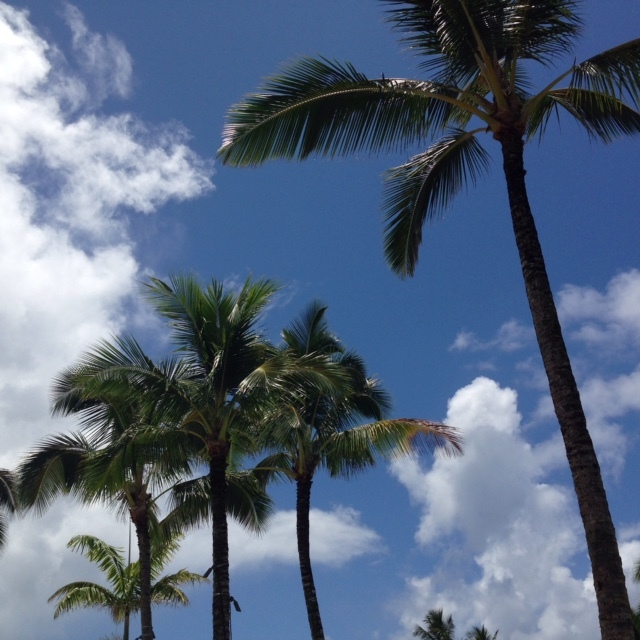 The Occasional Nomads is also not about how to live in Hawai’i. Brett and I write about our life here, things we do here, about traveling and occasionally about Japan. That’s it. If we lived somewhere else we’d be writing about that place. Our experience here is ours, and really not transferable to anyone else. If readers find something on here that’s helpful or interesting, that’s great, but Hawai’i advice is not what the blog is all about. We live on a fixed income these days. We have two (soon-to-be three) children attending college. And yes, the cost of living on Kaua’i is higher than many places back on the mainland (but not all: San Francisco, New York, Southern California, Seattle, etc. are much higher than here. Even Portland is getting close or exceeding the cost of living here in some areas.) But I’m a bit confused why or where anyone would have gotten the idea from this blog that we’re struggling or miserable. We’ve thrived here and are getting ready to make a big dream come true. We’re not going around the world next year because we have to leave Kaua’i, but because we want to travel the world and we can. According to the commenter above though, why don’t we just admit to ourselves and our readers that our retirement to Hawai’i has actually been a failure and a sham? You don’t have to be rich to live in Hawaii, and we’re not rich. Still, our monthly expenses here are less than our monthly income. What we don’t spend each month we put into savings. We haven’t had to go back to work or even consider looking for work to supplement our income. I know this flies in the face of conventional wisdom about living in Hawai’i, but it is possible to do so affordably if you do some research before coming, plan carefully, and be willing to adjust your lifestyle. Maybe this commenter thinks we’re deluding readers because we don’t publish our income and an itemized budget for how we spend it. However, our income and what we do with it are not really anyone else’s business. We don’t have to justify or explain our family’s finances, and especially not on a public blog. I don’t care if others do – that’s their choice. I’m happy to let readers know how we save for travel and what our financial goals are, but that’s as far as it goes. Just like anyone else, retired or not, we make choices all the time about how to spend or not spend our money in ways that work for us. For example, we choose to go without air-conditioning here because we want to put more away for travel. Maybe having air-conditioning is of life-or-death importance to someone else, but we’re willing to go without for a few months and be temporarily uncomfortable in order to save more for something that’s important to us, something we want to do, and that we feel will be of greater benefit and happiness for us in the long run. We’re more than able to afford an air-conditioner or two, and pay a higher electric bill for running them, but we choose to direct our money elsewhere for reasons that make sense to us. Everyone’s retirement is different. We all make choices throughout our lives, but those choices are unique to each person or family and their circumstances and preferences. Brett and I are happy and satisfied with the choices we’ve made and are making. We live a simple, comfortable life in one of the most beautiful places imaginable. We eat well, we’re healthy, and our children and grandchildren are healthy and happy too. We’ve been able to travel to the mainland or internationally at least once a year. We have all we need or want right now for a successful and satisfying retirement with no regrets, and we’re planning to go on the adventure of a lifetime next year. As far as I can tell, our retirement income and lifestyle are pretty much working fine for us, without any sort of struggle. Is our life perfect, retired or otherwise? Of course not – no one’s is. But what you see here on The Occasional Nomads is who we are. And that’s no delusion. Or sham. Two years ago yesterday Brett, our three daughters and I arrived on Kaua’i to start a new chapter in our lives. Two years ago our daughters did hold back and let us know again and again how angry and miserable they felt about our move. They left behind everything they knew, including life-long friends, boyfriends – everything – to come live on an isolated little island out in the middle of the Pacific Ocean. They were profoundly unhappy with us, but Brett and I did our best to reassure them. “Give it time,” we said, “and then see how you feel.” We explained over and over that it had been time for us to make our move. Last week, at dinner, as we were talking about some topic I don’t remember now, WenYu said, “I hope some day I can raise my children in a place like Kaua’i.” She went on to say how much she has grown to love our little island, its calmness, beauty, and friendly people. She said that moving here had been the best thing that happened to her. She still greatly missed her Portland friends, but coming here pushed her out of her shell and challenged her to take chances both academically and socially that she would not have taken back in Portland. She said she didn’t think she would be going to Wellesley College if we had stayed in Portland. YaYu has blossomed here as well. She has made many friends, is doing very well academically, and is also taking chances that she doubts she would have taken back in Portland. Brett and I believe the move was harder in many ways for her than for her sisters, but YaYu now says she too is thankful for the calm and beauty of Kaua’i, and is glad we moved here. She has relied heavily on WenYu these past two years for company and support, but says she is ready to step out from her sister’s shadow and spread her own wings. Meiling has built a solid independent life for herself back in Oregon, and is doing better than either Brett or I ever expected or hoped for. She did not want to stay on Kaua’i, and it was with great sadness and misgiving that we let her return to the mainland. She has told us though that she doubts she would have become as strong and independent if we were still in Portland, where she could have (and would have) called us to “come fix it” if things were not going well. We talk and text with her frequently every week, and offer advice when it’s asked for, but are so very proud of our daughter these days and the independent path she has chosen. It has been a good move for all of us. Brett and I are more relaxed and far less stressed than we were back on the mainland. We worry less, hustle less, and let things happen as they will. We’ve made friends here, and are recognized more frequently as kamaaina, residents versus tourists. I absolutely love being called “Auntie.” With a couple of exceptions, we moved just the right amount of stuff along with us, and every day we appreciate our simple life more and more. We’ve figured out where and how to shop here, to find the best bargains, and we focus more on need versus want. We still get to travel. To know that the girls are now happy too about our move to Kaua’i is just the icing on the cake for us. While there is still lots for us to learn about our new home, we have a wonderful life here, and we are content. 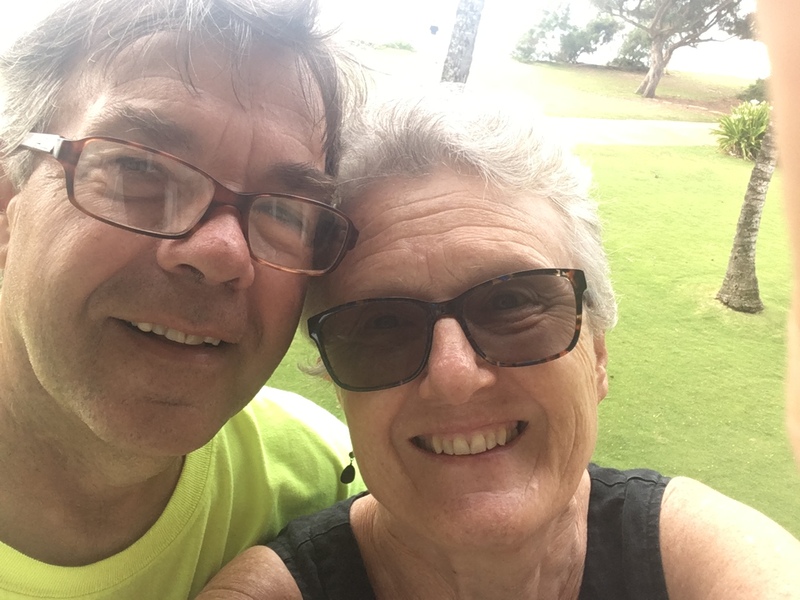 Our son has sometimes hinted that he wished we had moved to Oahu because of the medical facilities there, but both Brett and I are so glad we decided to settle on peaceful and less congested Kaua’i. It’s a great fit for us. I’ve read that two years in Hawai’i marks a turning point (believe it or not, most new residents don’t last a year). If you can make it here for that long, then it’s said you’ve truly adjusted to the island way of life and will most likely stay forever, or at least for a very long time. I know we’ve crossed that threshold. Kaua’i is home, and I can’t imagine being anywhere else. My first Social Security deposit was supposed to arrive this week, but when I checked our account yesterday morning there were no deposits pending. I guess I will have to wait until next month. I filed for retirement online with Social Security back in October of last year, three months before my official retirement date of January 1, and all seemed to have gone well. But, in early November I received an official email from Social Security asking me to call a particular agent at one of the service centers to resolve a couple of issues (and yes, I did verify that the number was legitimate as was the person I would be calling). So, I called but was sent to the agent’s voicemail. I don’t want to sound like an ageist, but this person sounded like she was 90 years old (seriously!) and her recorded message asked callers to leave so much information that by the time I got done giving it all there was barely any time left to leave a message. When I didn’t hear anything back from her in two weeks I called again and this time she picked up the phone . . . and still sounded like she was 90 years old. I gave my name and Social Security number and the first thing she said was, “Oh yes, I’ve been trying to reach you but you haven’t gotten back to me.” LIE!! In those two weeks there had not been one voicemail, missed call, or email from this woman – nada. But, I kept my mouth shut because Rule #1 is not to tick off someone who can mess with your income. The first issue she wanted to cover was trying to find out why the Oregon University System (OUS) had not withheld any FICA from my paychecks back in 1994. As this was more than 20 years ago, it took me a while to even remember what that job might have been. I had no memory of ever working for the Oregon University System, but it eventually came to me: It was a work-study job in the alumni office while I attended Portland State University. Me: That income was from work-study and part of my financial aid when I was an undergraduate at Portland State University. I don’t know why Social Security wasn’t withheld. Her: But you also earned money from Portland Community College (PCC) and that was taxed. M: Yes, I was an instructor at PCC. I began working there in 2000. H: But they didn’t take any FICA deductions when you worked for the OUS. M: I don’t know why they didn’t take any deductions, but that income was part of my financial aid award. I was a full-time student and I worked part-time in the alumni office. H: But, they took deductions when you were at PCC. M: Yes, I was employed there as an instructor. I had graduated from PSU. H: But OUS . . . This entire conversation was repeated four more times!! It got to the point where we both had to sit quietly on the phone for a couple of minutes to calm ourselves down – she was angry at me because I assume she either thought I wasn’t listening to her or lying, and I was angry because she was not listening to me, refused to believe that OUS and PCC were not somehow connected, and kept asking me the same questions over and over. What? Did we really go through all that and then it’s “Oh, OK?” I wanted to go bang my head against a wall! We moved on to the next issue she had, which was the supplemental dependent payments for the girls. The agent wanted to link their accounts to my retirement instead of Brett’s, but I said no because we had been told when Brett retired that dependent accounts are linked to the highest earner, and Brett receives much more Social Security income than I will. Again, she said “OK.” And that was that, or so I thought. A couple of weeks later though Brett got a message from the same agent asking about the dependent accounts and asking him to contact her. After two weeks of leaving messages with her voicemail and receiving no replies, he gave up. Brett and I went down to the local Social Security office on January 2 to see if we could figure out what was going on. The first thing the agent there said to me was, “It says in your file that this other agent had trouble connecting with you.” Again I bit my tongue – Rule #1 again. The local agent was very helpful though, and told us that actually, Brett’s and my Social Security income would most likely be combined and possibly make the girls eligible for a larger dependent payment. My file did thankfully show that I had applied for retirement benefits. The agent arranged a phone interview for the following week to get everything straightened out and set up. That agent called at the appointed time, we talked for a while, then he talked with Brett for a while. When he had to go look up some more information he gave me the time he would call back, and again called on time. He said when we were done that everything would hopefully go through in time for me to get a payment in February, but that it might take 60 days, which it appears is what has happened. Yes, I am going to officially complain, once everything is settled and my payment starts arriving regularly. We thankfully have enough monthly income that we won’t suffer without my SS income, but it would be nice to have it. I admit though to still being a bit nervous about the whole thing because I have yet to receive any official confirmation that I have applied for retirement benefits. I have my fingers crossed that there will be money in the bank in March, but if not it’s back to the office I go. 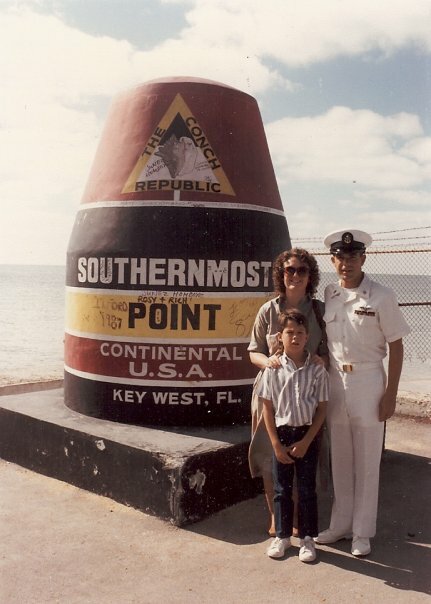 Brett’s last re-enlistment, at the Southernmost Point in Key West, FL. Shortly after this we headed back to Japan for the second time, and our final tour in the navy. One of the best retirement decisions Brett and I ever made, although we didn’t know it at the time, was for him to stay in the navy long enough to collect retirement benefits. It was not an easy decision by any means, and we got through our navy years enlistment by enlistment (Brett retired as an E-8, a Senior Chief Petty Officer). It wasn’t until the last two that we decided to stay for the full twenty, and Brett actually retired with 22 years of service. I am somewhat awed these days by how different and nicer things are for those currently serving and their families. The housing is much nicer, the benefits nicer, and the pay is definitely better these days. And to that I say . . . it’s about time! All those nice things available now? Service members and their families deserve them and they earn them. There’s a reason not everyone joins the military or stays in for longer than one or two enlistments or tours: It’s challenging, stressful and sometimes dangerous work for the service member, and it’s a challenging, stressful and often difficult life for families. 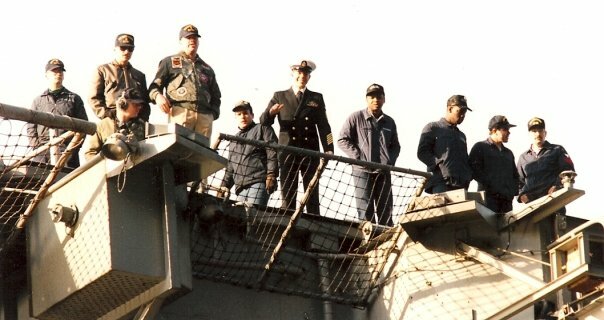 Brett up on the flight deck of the USS Midway, returning home after being deployed for six months in support of Operation Desert Storm in 1991 (the other sailors are in work uniforms; they will be staying aboard ship). I’ve mentioned before the saying “the toughest job in the navy is Navy Spouse.” There’s a one-word answer for why it’s the toughest job: deployment. When your spouse is in the navy, it’s a given that they are going to go away, usually on a ship, and usually for a long time. During our first tour in Japan, Brett was away 30 out of the 35 months we lived there. Thankfully we never had a tour as difficult as that again, although some were close. I used to joke that whenever Brett checked in to a new duty station, whether sea or shore duty, the first thing he was required to turn over was a list of all family birthdays and anniversaries so the command could make sure he was away on those days. During the 15 years we spent together on active duty he was home for all of two of our wedding anniversaries. Our son and I rarely saw him for Thanksgiving, and I’m hard-pressed to remember when he was home for a birthday although I’m sure he made a few. Amazingly, he only missed one Christmas at home. When Brett deployed I, like every other navy spouse, took over responsibility for everything, from the budget to car repairs to child-rearing so that he could do his job without worrying about what was going on back home. Did I mention too that there were no phones on ships like today, no email, no Skype, no texting and so forth back then? All we had was snail mail, and you could go weeks without hearing from your spouse, whether you were the one at home or the one at sea. Two letters written one day after the other could show up two weeks apart, while two letters written two weeks apart might show up in your mailbox on the same day. If a problem or crisis arose back at home, I had to deal with it on my own; there were no opportunities or means to communicate with Brett to figure out what to do or how to handle it. Navy life meant we moved, on average, every two and a half years. The longest we were ever in one place were our two tours in Japan, where we were required to commit to a minimum three-year stay, but for a couple of tours we were in place less than 18 months. Although the navy claimed to cover the cost of the moves, it was never enough and we usually had to take out a month or two of advance pay to cover the difference, and then spend our first year at the new duty station paying it back. Moving always meant saying farewell to all that had become familiar. For all of us it was saying good-bye to friends and starting over. For our son it meant changing schools and having to make new friends and finding his place, over and over (he started the ninth grade in his ninth school). For me it usually meant quitting a job and looking for a new one after we arrived and settled in. For Brett, every move meant fitting in and figuring out a new work environment with new coworkers and a new boss. A PCS (Permanent Change of Station) move was the equivalent of having your household goods survive a small fire – something (and usually more than one thing) was always broken or torn or lost. We did six PCS moves during our time together in the navy. We always chose government housing if it was available. We liked the camaraderie of being with other navy families, and it cost less than living out in town. Sometimes housing was available right away, but other times we had to wait several months before a unit became available, and had to rent out in town. During our second tour in Japan we lived “out on the economy” for the first 20 months of our tour. Although it wasn’t easy, it was still the experience of a lifetime and I’m grateful we got the opportunity. Whenever we moved out of base housing, we personally had to stand and pass a cleaning inspection; there were no contractors that came in and did it for us. That “white glove” was not a myth either. We once failed a cleaning inspection for a spot of old wax on the floor that was as small as a dime! Out of the five navy houses we lived in over 15 years, only one had a dishwasher, only one had air-conditioning, and only one had a carport (we never had a garage). Every single one of the houses we lived in was remodeled or upgraded after we moved out . . . and we still had to clean it to perfection. The curtains that fit in one house never fit in the next or any of the others – we had to purchase new window coverings for every place we lived. Only one of the five houses is still being used – the rest aged out and have been torn down. They were already older than dirt though when we lived in them. But, you know what? I would do it again in a heartbeat. I loved being a navy wife. I am so proud of Brett – he served his country with honor and distinction. He had a job he loved (aviation maintenance/avionics) and excelled at it. Although our life with the navy wasn’t always easy, it was still a good life. No one joins the service to get rich, but we never had to worry about Brett being laid off, or not being paid. I never, ever got used to Brett’s being gone though – every deployment, whether it was for one week or six months was hard, and it never got easier. I remember saying good-bye to him, memorizing every feature of his face, wondering if I would see him again – Brett worked in one of the most dangerous environments in the world, an aircraft carrier flight deck. I had to frequently reassure our son that his dad didn’t leave again because of something he did, and that daddy was just doing his job and would be coming home soon, even if ‘soon’ was four months in the future. We made lifetime friends during our time in the navy, and we still share a special bond with those friends. Our family got to visit cities and sites all over the United States as we moved around, and different places in Asia as well. Our son grew up and used the skills he learned from making all those moves – he can confidently walk into any room or situation now and make conversation and quickly fit himself in. The navy took care of us, and was there for us if we needed anything. The best part of all though was that my time as a navy wife taught me that I was a strong, competent person who could handle just about anything on my own. 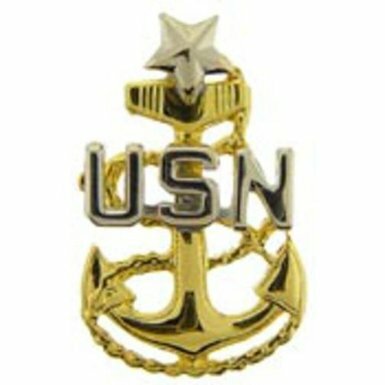 Brett’s final rank was E-8, Senior Chief Petty Officer. And those benefits Brett earned? Since 1992 we have received a monthly payment based on Brett’s rank and the number of years he served (someone retiring today however with the same rank and time would start off receiving 25% more than Brett does – there is no parity for those who served earlier at lower pay). That payment has always been enough to take care of our housing expenses. Although Brett was promised free family healthcare for life for serving 20 years, we knew long ago that was unsustainable. Instead, we have extremely affordable lifetime healthcare insurance through Tricare, with no monthly premiums, and which includes a prescription drug plan and provides free Medicare supplemental insurance. Out-of-pocket health expenses are capped at a very low level, and we are covered anywhere we travel in the world. We are also eligible for excellent, low-cost family dental insurance, and can shop in any exchange or PX around the world, or any commissary, and use all military recreation facilities world-wide. Navy life/navy wife – it was all worth it, every moment, toughest job or not. 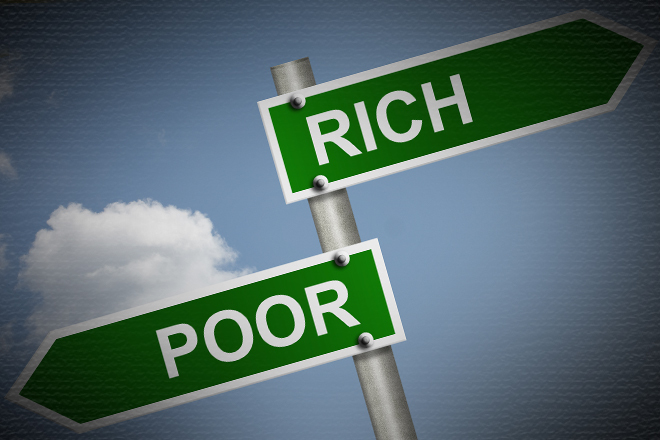 In last week’s comments to my post about college vs retirement, one commenter couldn’t seem to decide whether we were rich, hiding our wealth in retirement funds so we would appear “poor” in order to qualify for federal financial aid for our daughters, or whether we were actually poor, living “on the dole” and struggling through each month, doomed to a life of poverty. We definitely are not wealthy, and there is no fortune hidden away or waiting in the wings. We don’t own property. We’ve never received an inheritance other than the few thousand dollars I received over 20 years ago from my dad’s life insurance policy, which we used to pay the closing costs on our first home. The small amount of money that’s sitting in our IRAs now is only there because both Brett and I had small 401(k)s that we rolled over when we retired. And, when I say small I mean small. We spent our earlier savings bringing our girls home, and never earned enough after we adopted them, even when we were both working, to put much of anything aside but the minimum. So, maybe we are poor. I sure don’t feel poor though. We have a more-than-sufficient monthly income from Brett’s military retirement, Social Security, and the pensions we each receive. Put together, and with no FICA or other employment taxes coming out; no health insurance premiums thanks to Tricare eligibility; and no Hawai’i state tax liability, our monthly income is enough that we have a nice amount every month for groceries, and we can easily cover our rent, as well as gasoline, cable, phones, insurance, and other monthly expenses including my never-ending student loan payment, our only debt. We are able to put a little aside every month for travel and to pay for the seemingly non-stop expenses of two girls in high school (I just finished ordering graduation robes and regalia, and coming right behind is the cross country banquet for two, two new custom swimsuits and swim caps for the swim team, and grad night fees). We will be able to pay the fees for WenYu’s college applications (at $60 each). We bought plane tickets for Meiling to come home at Christmas, and Brett’s ticket to the mainland on our credit card for the cash back rewards, and then paid it off immediately. I can occasionally splurge on things like a spa day with a friend, and we go out to eat now and again. We maintain an emergency fund. There’s money in the checking account at the end of each month. Even though it’s more than adequate for our needs these days, our adjusted gross income is still low enough that our family qualifies for federal financial aid including Pell Grants, work study and subsidized Stafford loans, the kind of aid that’s there to help poor or low-income families afford a college education. We’ve perennially been that family earning just enough to disqualify us from assistance for something, but not enough to afford it otherwise, but when it comes to financial aid we qualify and gladly accept it. Like millions of other lower-income families, we need financial aid to send our daughters to college; there is no way we can afford what a college education costs these days without help. Giving up a few things out of our monthly budget, or stripping our retirement accounts, wouldn’t change anything. Although we may be considered low income on paper, I still feel very rich. Brett and I have a long, loving and happy marriage; we have three wonderful daughters, a successful, generous son and beautiful daughter-in-law, and an adorable grandson. We’re all in excellent health. Our income and benefits are lifetime, and are solid. Other than my student loan, we have no debt. We are able to live in an incredibly beautiful place, and can afford to rent a nice house and pay our bills without a struggle. With planning and careful saving we can occasionally travel. None of us feels like we need more or that we don’t have enough or that we’re missing out on anything. We eat well, and get to do what we enjoy. We are careful and thrifty with our money and know how to get the most out of it. Poor? Rich? Those are labels. All I know is that we are living a very good life . . . on not very much.